President Donald Trump announced last Tuesday that the United States will withdraw from the historic nuclear agreement with Iran, which he considers "defective to the core". While making the announcement in a message that was televised Trump said "The United States does not make threats in vain" and indicated that the pact is a "horrible unilateral agreement" that "did not bring peace" and never will". The US president warned that "the most severe economic sanctions will be applied" against Iran. Trump's decision implies that Iran must now decide whether to withdraw from the agreement or try to save what remains. The Islamic Republic in question has so far left contradictory signals about what it will do, and this will depend to a large extent on how Trump abandons the pact. For a long time, Trump has criticized the agreement forged in 2015 which stipulates that the world powers will lift the economic sanctions imposed on Iran, which in turn would reduce its nuclear activities and allow more inspections. If the agreement collapses, Tehran will be able to resume uranium enrichment and companies that have been starting to do business with Iran will have to rush to cancel their agreements so as not to be in violation of US law. 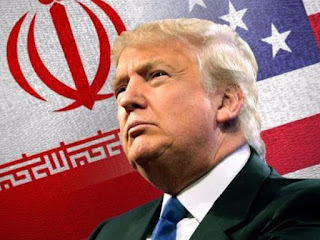 Donald Trump said he was willing to negotiate with Iran and other countries a new agreement related to the Iranian nuclear program and predicted that Tehran will end up lending to do so. "Iran's leaders will say, of course, that they refuse to negotiate a new agreement. But the truth is that in the end they will want to negotiate a new and lasting agreement, one that benefits all Iran and the Iranian people. When they want to do it, I am ready, willing and able", he added. The reinstatement of US sanctions against Iran over its nuclear program will be effective "immediately" for new contracts, US National Security Adviser John Bolton said last Tuesday, noting that foreign companies will have a few months to "leave" Iran. Before the announcement, there was expectation in Iran, where many are concerned about the economic impact that Trump's decision will have. In Tehran, President Hassan Rouhani said Trump's decision was "unacceptable" because Iran has fulfilled its commitments and announced that it will "continue" in the pact. "We have not done anything wrong and it is unacceptable for the US to withdraw", Rohaní said in a televised speech. "If at the end of this period we reach the decision that the other countries can give us what Iran wants, we will continue with the agreement and we will do everything possible for peace in the region". The decision represents a major blow to some of the closest allies of the United States, including Britain, France and Germany, who joined the United States only three years ago to sign the agreement. The pact was signed with Tehran by the United States, France, the United Kingdom, Russia, China (all nuclear powers) and Germany, and established mechanisms to prevent Iran from developing a nuclear weapon.